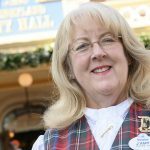 Previously, Mary served as the senior vice president of Disneyland Resort operations, responsible for the leadership and integration of the overall guest and cast experience. Prior to that role, she held the positions of vice president of Disneyland Park, and vice president of Disney California Adventure Park respectively. While at Disney California Adventure, Mary played an integral role in the multiyear expansion which included the reimagined main entrance and the additions of Buena Vista Street and Cars Land. 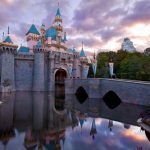 Since its grand reopening, Disney California Adventure has seen record-setting attendance and received the “Amusement Today” Publisher’s Pick Award for 2012 Park of the Year. 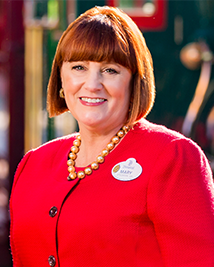 Mary came to the Disneyland Resort as vice president of food and beverage in June 2000 from the University of California, Los Angeles, where she was director of dining services. She is nationally recognized for developing and successfully implementing the first “Marketplace” food concept in university residential dining in the United States. She was a founding member of the College and University Resource Board, regional president for the National Association of College and University Food Service, and has been a speaker at numerous national conferences. 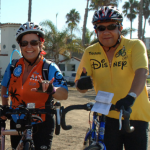 Mary also serves on the board for The Illumination Foundation. In 2005, she was selected by the International Foodservice Manufacturers’ Association as the 2005 Silver Plate recipient in the Specialty Foodservices category, a prestigious honor within the foodservice industry. In 2012, Mary was honored with a Career Achievement Award by the Stockton Arts Council, granted the Girls Incorporated “Bold” Award, and named one of the Top 25 Hottest People in Orange County by OC Metro Magazine.